Mediterranean Turtle (Mauremys leprosa) - Spaanse Beekschildpad - a very common turtle in the streams in Extremadura. 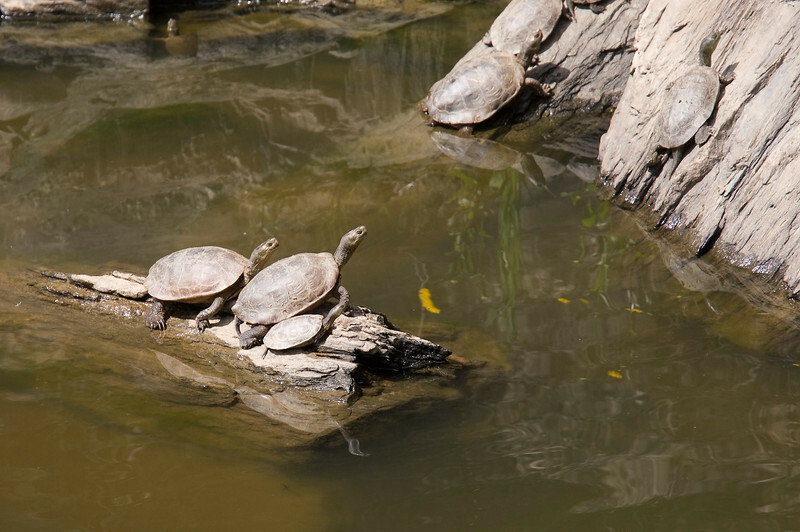 These turtles are very shy and quickly dive back into the water. However when approaching them quietly while they are sunbathing it is possible to shoot some nice "family-pictures"